The following article is adapted from a report by the Center for Strategic and International Studies, Undersea Warfare in Modern Europe. Increasing Russian submarine operations over the past several years have caused considerable concern in capitals across Europe and in the United States. The resurgence of the Russian Navy in the undersea domain prompted a senior U.S. naval official to declare that we are now in the midst of the “Fourth Battle of the Atlantic.”1 Such pronouncements may overstate, to some degree, the extent of Russia’s reemergence, however, they helpfully shine a light on the dramatic decline of anti-submarine warfare (ASW) capabilities across NATO and key partner nations, including Sweden and Finland.2 As part of a recently released study on the challenges posed by Russian undersea capabilities across Northern Europe, the Center for Strategic and International Studies (CSIS) analyzed the extent of the decline in U.S., allied, and partner capabilities, and offered recommendations to reverse it in a timely, cost-effective, and strategic manner. The CSIS report highlights two incidents that demonstrate how far NATO and partner capabilities have fallen. In a widely publicized 2014 episode, the Swedish Navy spent a week scouring the Stockholm archipelago for an alleged Russian submarine believed to be operating inside Swedish territorial waters.3 The intruder was never publicly identified, though the circumstantial evidence overwhelming suggests it was, in fact, a Russia submarine. In years past, Sweden arguably maintained the best shallow water anti-submarine warfare (ASW) capability in the world. This incident, however, calls that status into question. The UK was likewise confronted with a similar incident in late 2014 when the Royal Navy (RN) suspected that Russia was operating a submarine in close proximity to Faslane, the home of the RN’s nuclear submarine force. Given the UK’s lack of fixed-wing ASW platforms, it was forced to request allied assistance to protect this vital military installation—a less than proud moment for the former maritime heavyweight.4 The UK has since announced that it will be investing in nine P-8A Poseidon maritime patrol aircraft. Beyond capabilities and platforms, ASW warfighting skills have similarly atrophied. Given highly complex operating environments, many of these skills require consistent realistic training to build and subsequently maintain. There is now an entire generation of naval officers without a detailed know-how to counter and defend against Russian undersea activities in the North Atlantic and Baltic Seas. There are signs that navies across NATO are beginning to recognize these shortcomings and are taking steps to address them. The increased frequency of NATO’s Dynamic Mongoose ASW exercise is one such example. However, nations will have to commit to robust training beyond annual NATO exercises in order to create and maintain a culture of ASW excellence.8 Dynamic Mongoose and similar exercises should not be viewed as the panacea to current training shortfalls, but rather as the culminating event for separate national training programs. In order to meet these challenges, NATO and partners will not only have to recommit to the platforms and people required for ASW and undersea warfare, but also to working together in an operationally effective manner. There are two tasks that NATO and its partners must complete as soon as possible. First, relevant nations must establish mechanisms to bridge the organizational gap that results from critical ASW partners Sweden and Finland not being in NATO. The creation of a framework that respects the sovereignty and neutrality of Sweden and Finland while enabling close tactical and operational collaboration is vital. The deepening security relationships between these nations and NATO provides an opportunity for greater collaboration on ASW issues, which could potentially be expanded within a NATO-NORDEFCO format. Second, and looking beyond the Baltic Sea region, NATO needs to create an operationally effective theater ASW framework that distributes roles and responsibilities in a way that best leverages differing national capabilities and commitments. 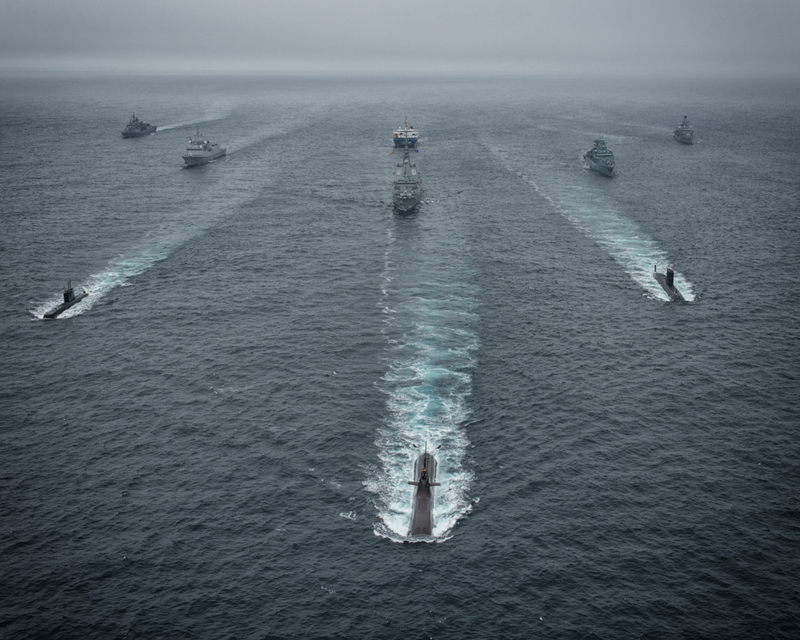 Such a framework will likely require changes to one of the standing NATO maritime groups, improvements to information sharing across the alliance, and continued integration of ASW elements in NATO and regional exercises. The goals represent the first steps of a longer process of rebuilding ASW capabilities across Europe. What is clear is that effective integration of national capabilities is required if the current Russian challenge is to be met. Andrew Metrick is a research associate with the International Security Program at the Center for Strategic and International Studies and one of the authors of Undersea Warfare in Northern Europe. His work has covered a broad range of issues, including amphibious warfare, maritime capabilities, and unmanned systems. 1. James Foggo III and Alarik Fritz, “The Fourth Battle of the Atlantic,” Proceedings, June 2016, 142.6, http://www.usni.org/magazines/proceedings/2016-06/fourth-battle-atlantic. 2. Dmitry Gorenburg, “Russian shipbuilding still in trouble,” Russian Military Reform, January 19, 2016, https://russiamil.wordpress.com/2016/01/19/russian-shipbuilding-still-in-trouble/. 3. Peter Walker, “Sweden Searches for Suspected Russian Submarine off Stockholm,” The Guardian, October 19, 2014, http://www.theguardian.com/world/2014/oct/19/sweden-search-russian-submarine-stockholm. 4. Ben Farmer, “Britain Forced to Ask NATO to Track ‘Russian Submarine’ in Scottish Waters,” Telegraph, December 9, 2015, http://www.telegraph.co.uk/news/uknews/defence/11283926/Britain-forced-to-ask-Nato-to-track-Russian-submarine-in-Scottish-waters.html. 5. International Institute for Strategic Studies (IISS), The Military Balance 2000–2001 (London: IISS, 2000). 6. IISS, The Military Balance 2016 (London: IISS, 2016). 7. “F125 Baden-Wurttemberg Class Frigate, Germany,” naval-technology.com, accessed on: July 18, 2016, http://www.naval-technology.com/projects/f125-frigate/. 8. 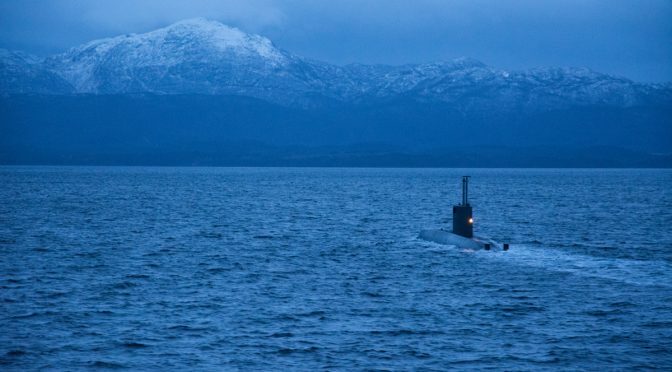 “NATO launches antisubmarine warfare exercise in Norwegian Sea,” North Atlantic Treaty Organization, June 20, 2016, http://www.nato.int/cps/en/natohq/news_132596.htm. Very interesting article. But, please, Sweden is not neutral! Sweden is a member of the EU and a close partner to NATO. Its security policy builds on the idea that NATO will come to its help if needed. Sweden, however, does not want to become a full member of NATO. This policy is extremely difficult to understand – also for a Swede. In practice, this means that Sweden probably would react positively to such an initiative as long as it does not imply binding security arrangements.